2. How to question my own diagnosis and call Weber and get instant instructions, via email. On a Sunday. 3. 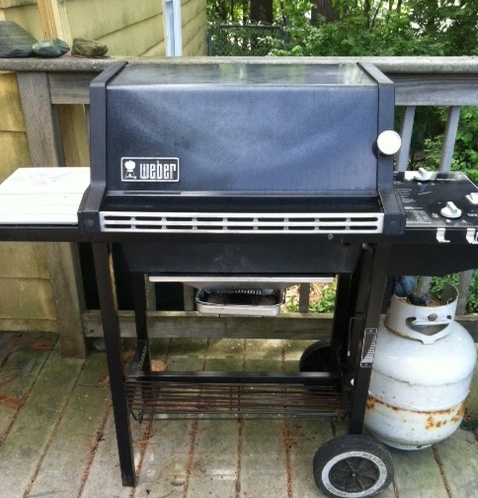 How to disassemble and deep clean the grill, including inside the burners. And how to put it back together again in a way that it works. 4. How to cancel my order for a new burner assembly. 5. How rewarding it is to fix something we already own Perhaps we were channeling our fathers, who both absolutely loved to do just that, on this sunny Fathers Day. Weber rocks. And so does Steve. And Maddy, who held all the directions and cheered us on.